The image of Lara Croft as a Tomb raider is known around the world. IT has been made famous by the movies, video games and all of the merchandise that is being sold. It is one of the most popular franchises in the world today and now people can head to their mobile casino and play a game based on the characters and the events of Tomb Raider. The Tomb Raider game that is offered in the mobile casinos is a 5 reel slot machine. It offers 15 pay lines for more opportunities to win. There is also scatter feature that sets this game apart. The bonus round that the game offers is not only a great way to win credits; it is also fun to play. 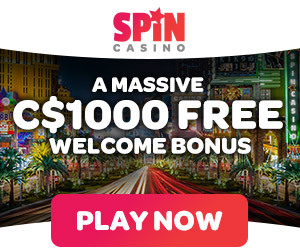 The free spins are fun, but they are not the only special way to win. If you can get 3, 4.or 5 of the Tomb Raider Idols on one of your pay lines, you will start a special round of play. In this round you will be transported into the tomb. In the tomb you will find 12 idols that you can choose from. You are allowed to choose the number of idols in the tomb that appeared on your pay line. Three idols will allow you to win between 36 and 1500 credits. 4 idols will allow you to win between 48 and 2000 credits and if you have 5 idols you can win between 60 and 2500 credits. With an average payout of 96%, Tomb raider is one of the most popular games in Mobile Casinos today. If the idea of playing this exciting game intrigues you, you can start playing whenever you want. All you have to do is follow a few simple steps to begin playing. It only takes a few minutes of time before you are playing this great game.